Attentive is a personalized mobile messaging platform built for innovative e-commerce and retail brands. Using Attentive’s patent-pending solutions, marketers can quickly grow a list of mobile subscribers and create a new top 3 revenue channel. Attentive automatically sends engaging text messages to each subscriber based on real-time data— whether it’s a cart reminder, a notice about an exclusive sale, or product recommendations. 250+ brands rely on Attentive and see strong results like 30%+ click-through rates and 25x+ ROI. To learn more, visit www.attentivemobile.com. Location delivers relevancy and intent. Bluedot empowers companies (via their mobile app) to take advantage of real-world insights and uncover the right moments to message customers on their preferred channels. Bluedot’s mobile location technology enables brands and enterprises to delight customers - at scale. We deliver 20x location precision over other solutions. No hardware required. Know where you’re customers have been, where they frequent and anticipate how best to engage them. 1:1 insights delivered. Companies gain context from Bluedot’s location data. Pair your digital customer profiles with physical behavior for a true 360-degree view down to the individual level. 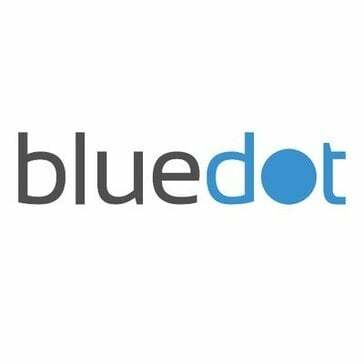 Learn why top enterprises, such as Salesforce, Oracle, McDonald’s, Cox Automotive, and Transurban partner with Bluedot for their location-based needs. DAEDALUS is a smart and powerful Adaptive Recommendations Engine that uses advanced machine-learning algorithms to recommend the right type of communication for each of your customers at any time, improving customer experience and maximizing the performance of mobile marketing campaigns. Our software allows businesses to send and receive text messages using their existing landline phone number. Bring transformation in the way you communicate to your selling partners. engageSPARK offers telephony and messaging engagement solutions. FollowAnalytics is a 1:1 Mobile Marketing Platform that helps you promote and monetize your mobile apps to support your brand and drive revenue. Helps businesses create conversations about their brand with innovative use of Text messaging and shortcodes. Tired of low performance with conventional in-app ads? Try Gadmobe's Full-Page Banner and Push Notification which target Android™ apps users in many ways. GLYTR is a mobile multimedia marketing tool. LeadsByCell provides a "text for info" solution to enhance advertisements while delivering automatic phone number alerts (leads). Great for enterprise or small businesses such as contractors, real estate agents, auto dealers, salons, restaurants, service providers, Craigslist sellers, and individuals. With more than a decade of bridging the gap between the digital and physical urban landscape, Connecthings is the leader in augmented location technology. Leveraging a deep knowledge of the city fabric, hyper-precise SDK location technology and machine-learning algorithms, Herow by Connecthings is a location-based intelligence and engagement SaaS platform that helps mobile applications understand the context of their users – in real-time – and give them the ability to deliver relevant, timely experiences. With five offices across three continents, Connecthings now counts hundreds of clients – including more than 60 cities – and 3 patents in Europe and the Americas. Inmoji is a consumer engagement platform for mobile. Kaywa is a QR Code generator. Kite SMS is a Mobile Marketing platform for maximized advertising campaigns, with an accurate focus on target and customized messages. Komli provides mobile advertising and mobile app marketing solutions. Because of its applicability to almost every stakeholder in your business, Kookdokoo earnestly offers the highest communicative value compared to other apps. We, tailor it, to suit your need perfectly! Text-to-download form generator for mobile app landing pages. Improves User Engagement, Retention and Monetization with Intelligent Growth Formulas for your Mobile App. Maisie is a Facebook Messenger Marketing Chatbot for eCommerce. Generate more customer engagement and loyalty, convert more sales and grow your Messenger subscriber list. Manage is a mobile marketing and campaign software. Meg is an easy mobile marketing automation platform that connects the Web, Native Apps, Social Media, and the Real World. Mobile Commons provides a two-way communications platform, enabling organizations to reach people with their mobile phones. MobileROI is a comprehensive cross-platform 'system of engagement' solution that empowers brands to automatically deliver personally targeted and situationally appropriate content, experiences, functionality and advertising based on customer knowledge and real-time signal data from beacons, smartphones and other connected devices. MobileROI removes friction from all aspects of the customer journey including loyalty programs and offers, in-store experiences, CRM and social advocacy, in addition to contactless payments following an Apple Pay integration. Through a unique combination of mobile-first marketing automation, predictive analytics, context-sensitivity and personalization at scale, our partners optimize every customer experience, deepen loyalty and grow sales. Mobithink is a mobile affiliate platform delivering users to mobile apps. Moblin offers mobile app distribution and marketing solutions. Mobvista offers mediation and mobile advertising solutions. Mubiquo is a mobile marketing platform that enhances customer engagement with push notifications, location marketing, and locale mgr. mzCONNECT is a web-based mobile marketing platform for transmission of text marketing messages, mobile coupons, punch cards, and more. Launching your business to the Next Level. Notificare offers a Mobile Marketing Automation Platform as a SaaS-solution that lets you reach out, interact and gain insights from users on mobile apps. The dashboard makes it easy for brands to turn user behaviour and location into relevant push notification campaigns. OpenBack boosts app usage & engagement by delivering 1-to-1 notifications at the right moment for each user. Oplytic is a mobile marketing analytics and engagement software that improves sales and marketing effectiveness and helps enterprises run smarter mobile marketing, communication, and sales programs. It is our mission to embolden marketers to pursue their enterprise mobile strategies by helping them analyze their marketing and communication efforts, execute powerful tactics to engage users, and optimize media in channels that map to their objectives. We believe that communicating via apps and measuring the effectiveness of that communication will be one of the primary communication protocols for enterprises and organizations. Regardless of whether it is for the purposes of customer marketing, employee communication, or sales force enablement, mobile will be an integral part of how enterprises communicate. To support this vision, Oplytic has built a global platform with a diverse client base. Our clients include seven of the top 10 magazine publishers in the United States, five of the top 10 publishers in Europe, large professional member organizations, and more recently a large university in Australia. We are dedicated to serving the mobile community with products and services that help its members make informed and educated decisions. Engage is passionate about providing smarter choices to make your marketing and communications as easy as possible. They focus on the technology that delivers results – multi-channel engagement, voice and payment solutions. PingPilot is everything marketers need to attribute, analyze, and optimize Voice, SMS, Live Chat, Email, and Video conversations, all in one platform. Click. Converse. Convert.